Rolling tobacco and the papers needed to make cigarettes are completely essential accessories for those who find it beneficial to hand roll their own cigarettes. However, choosing the right papers for your rolling tobacco is another crucial element for achieving the finest experiences. Here we will discuss the important factors to consider when choosing quality rolling tobacco papers. Cuban Cigars - What makes this variety so coveted? 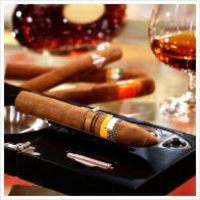 Cuban cigars hold an air of prestige and luxury due to their difficulty to obtain. Their production has been controlled by the government of Cuba ever since the island gained independence from the United States in 1960. The makers of these cigars are known as torcedores and are said to be the most masterful rollers of cigars in the world. These torcedores are very highly respected in Cuban society, they travel around the globe demonstrating their amazing skill of hand rolling cigars. If your tobacco pipe is in the need of some sprucing up, UK Tobacco offers an extensive pipe repair service. This is a great option if you have that one favourite pipe you just can’t throw away. If you are searching for a pipe repair service, it may be too late for you to give your tobacco pipe some maintenance yourself, but here is some advice to keep your pipe looking as good as the day you bought it, once you’ve had it repaired. Whether you are a novice or an experienced cigar smoker, there are always a few things you can learn from how a cigar is made to how to rehydrate a cigar that has dried out. When a bale of tobacco is brought to the factory, the tobacco leaves are broken out of the bale and cased. This procedure differs from factory to factory, but typically this is the standard procedure. Manufacturers that are very precise have devised sophisticated systems using special rooms with high humidity or fine mists of water. The magic of cigar making, whether it’s a Cuban cigar or Honduran cigars, actually begins in the fields and the curing barns. Involved is the choice of soil, the type of seed and the timing of the harvest to bring the leaves to the barns in optimum condition. Of course, this is dependent on whether nature has cooperated. However put the weather aside, workers in the fields play a role in each of these choices.